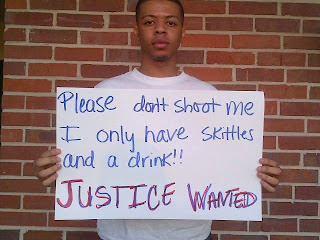 Boycott Florida to Demand Justice for Trayvon Martin? Posted By:LovelyLocks | At:9:55 AM Be the first to comment! If you missed the Savvy Sista Blog Talk Radio Show yesterday, then you missed out on a poignant discussion about the tragic death of Trayvon Martin. Clearly, people feel that there is a lot of blame to go around in this case, and while I am disgusted by the actions of George Zimmerman on that Sunday night, I feel that we will always have George Zimmerman's in this country. I'm no psychologist but in my layperson opinion, Zimmerman's past behavior towards alleged criminal action and even his 911 conversation before he shot an unarmed Trayvon Martin lead me to conclude that it was just a matter of time before he killed someone. He repeatedly engaged in vigilante behavior and on more than one occasion acted as if he was a police officer despite the fact that he lacked the requisite training and the badge and authority. For me, the flaw in this case is that no one would be investigating the murder of Trayvon if his parents hadn't gone to the media. I have seen nothing that leads me to believe that anyone could have prevented Zimmerman from shooting this teenager who went to buy Skittles and an Arizona Tea. Instead, I am angered by the fact that the Sanford police department treated Zimmerman as a hero as opposed to a suspect in the murder of a child. By labeling his murder as a case of self defense, the police, without thorough investigation, labeled Trayvon as the aggressor and essentially told his family and the general public that he deserved to die. When someone kills you in self defense, they are saying you posed such a great threat to them that they had the right to take your life to protect their own. 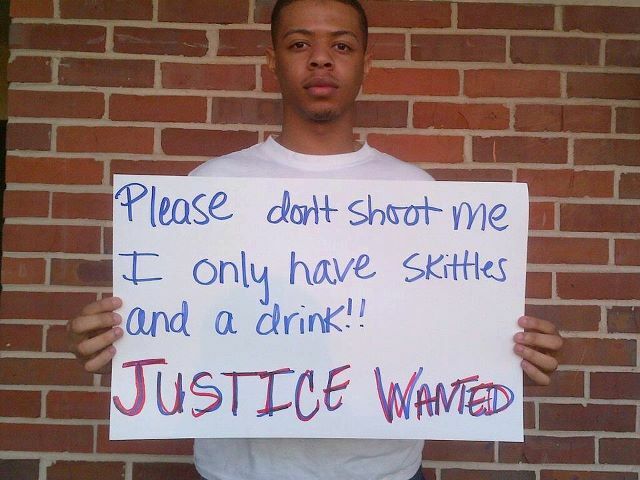 Yesterday, the question was asked, what do we do to get justice for Trayvon Martin. As one caller pointed out, we've signed petitions, we called our Congressmen, we've written articles but George Zimmerman is still a free man. And the only reply the Florida government has given us, is that we have to wait and investigate and see how everything unfolds. We've all seen the American justice system play out, we know that it takes years for cases to go to trial but why has Zimmerman never been arrested? The witnesses who placed the 911 calls have spoken out and they say Trayvon was calling for help that night which disputes George Zimmerman's claim that he was being attacked by Trayvon. Trayvon's girlfriend, the closest thing we have to an eye witness, says she was on the phone with Trayvon when he complained to her about a man following him in an SUV. She then heard the man confront Trayvon and heard was she assumed was Trayvon being pushed before his headset fell and the call was disconnected. Again, I ask, why has George Zimmerman never been arrested? I don't buy that the reason is because the investigation is still pending. That's not how our justice system works. You wait in jail or you post bail while the police investigate and the District Attorney decides whether to charge you with a crime, so why is George Zimmerman being treated differently?? Why does the State of Florida appear to be okay with the senseless murder of an unarmed young Black man??? One of the factors considered by a judge when granting bail is whether or not the defendant poses a danger to society. Based on his actions on February 26, I'd say that George Zimmerman poses a danger to all unarmed Black males in the State of Florida... dark skinned Hispanic males should be worried too... and I fear for the safety on any Asian male in Florida who looks as if he doesn't belong in Zimmerman's neighborhood. So what do we do?? One caller, STYNES, suggested that we assert the power we have to demand that the Florida officials treat the death of Trayvon Martin fairly. The power we have, is the power of the dollar. Black people, by and large, are considered consumers. Black women spent four billion dollars last year on cosmetics including hair care products and personal care items. Four billion dollars and are you asking any of those companies to exert their influence over the Florida Legislature to seek justice for Trayvon??? Florida does not have state income taxes or corporations taxes and the reason for that is they make billions of dollars every year off tourists. If you have ever taken you children to Disney World or the Florida coast or partied in Miami then you have helped pay the salary of the Florida governor and the Sanford police who refuse to arrest the man who put a bullet in the chest of Trayvon Martin all because he wanted to eat skittles and drink tea while he watched the All Star game. So here's what I propose. We send a message to the State of Florida that we will not bring our children there, that we will not support their economy as long as people can shoot our unarmed children while they walk on the sidewalks of Florida and not face any consequences. If you were planning to take your children to Disney World this summer, take them somewhere else and explain to them that you want to see them live past the ripe old age of seventeen. If you shop online, do not buy from companies that are headquarted in Florida. And I am practicing what I preach here because my supplier for my DRB ingredients is in Florida. I have already started looking for a replacement and I am sending her an email that I cannot support any Florida businesses because I believe that children should have the right to buy skittle and Arizona tea and walk on the sidewalk. If you currently live in Florida, you can also support the boycott, don't eat out. Florida restaurants depend on tourists and locals for their income. Buy your groceries and make your meals at home until little boys can walk in the rain in a hoodie and not end up with a bullet in their chest. If you are going a on a cruise this year, tell them when you book that you do not want to leave from a Florida port, you want to lave from South Carolina or New Orleans. None of us has the power to bring Trayvon back and we cannot prevent his family's grief but we can help them get justice and all we have to do is keep our money out of Florida until they remember that the Constitutional rights of unarmed Black boys are just as important as everyone else's.